According to the National Institute on Drug Abuse (NIDA–a division of the National Institutes of Health), of the 20 million Americans that had a substance abuse addiction in 2015, about 10% were addicted to opioids. These prescription medications, such as OxyContin, Vicodin and Demerol are intended to be used for the treatment of pain. But more and more, they are being overused and abused. As many as 29 percent of patients who are prescribed opioids for chronic pain misuse them, and about 10 percent develop an opioid use disorder. In the past seven years, opioid addiction increased almost 500%. Every day, more than 90 Americans die after overdosing on opioids, a total of 33,000 lives lost to this drug in 2015 alone. Drug overdoses – most of them from opioids – currently kill more people than guns or car accidents. The Centers for Disease Control and Prevention (CDC) recently estimated that the total “economic burden” of prescription opioid misuse in the United States is $78.5 billion a year, including the costs of health care, lost productivity, addiction treatment, and criminal justice involvement. Link to Prescription Drug Treatment: A study from the CDC, published March 17, 2017 in Morbidity and Mortality Weekly Report, found that an opioid prescription lasting for eight or more days increased the likelihood of using the drug a year later to 13.5%. A prescription of 31 days or more increased chances of long-term opioid use to 29.9%. Fentanyl, also known as fentanil, is a synthetic (lab-produced vs. coming from a plant) opioid pain medication that is 50 to 100 times more potent than the plant-extracted form of morphine that it mimics. Some “versions” of fentanyl are designed be as much as 10,000 times more potent than morphine. The first fentanyl formulation, called Sublimaze, received approval by the Food and Drug Administration as an intravenous anesthetic in the 1960s. Once illicitly manufactured versions of fentanyl became available, it quickly resulted in the misuse of these derivative options. Fentanyl and fentanyl-like opioid formulations were largely responsible for the tripling of overdose deaths related to synthetic opioids in just two years – from 3,105 in 2013 to 9,580 in 2015. Carfentanil, a fentanyl derivative, is approximately 10,000 times more potent than morphine. While fentanyl has a short duration of action (30-90 minutes), carfentanil can stay in fat deposits for hours, so overdose patients need to be monitored for up to 12 hours after initial resuscitation to guard against delayed reactions. 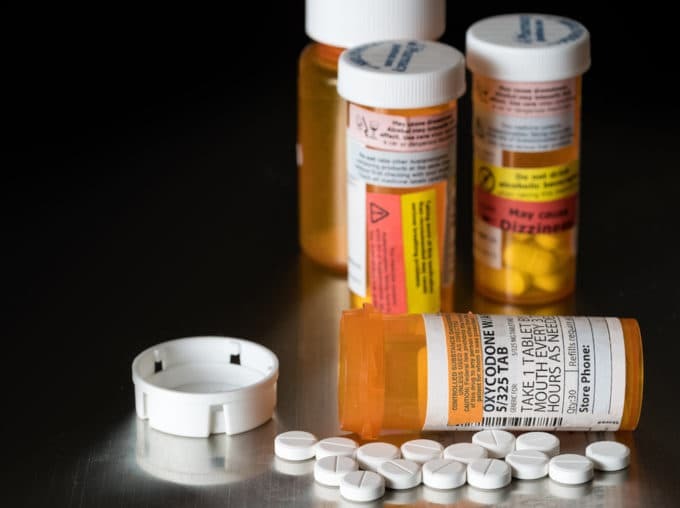 A contributing factor in some opioid-related mortalities is the combined use of opioids with benzodiazepines or other respiratory depressants, such as sleeping pills or alcohol. Another fentanyl derivative, butyrfentanyl, is more than 30 times more potent than morphine. Fentanyl’s high potency and its rapid bodily response time increase the risk for overdose, as well as risks for addiction and withdrawal symptoms. An estimated 4 to 6 percent of people who misuse prescription opioids make the transition to heroin. According to a 2014 NIH study, about 80 percent of new heroin users started out misusing prescription opioids, but found that street heroin was cheaper and often easier to obtain. Medication-assisted treatment, or MAT, includes the prescribing of medications like buprenorphine and methadone, both drugs approved for treatment of opioid addiction, along with behavioral therapy and possibly recovery programs such as Narcotics Anonymous. A study testing the effects of Suboxone, a combination of buprenorphine and naloxone, a drug that is often used to reverse the effects of opioid overdose, was found to substantially increase a person’s chances of remaining opioid free after 18 months. Another study found that increased buprenorphine use was accompanied by a reduction in the number of overdose deaths. Patients on methadone were over four times more likely to stay in treatment and had 33 percent fewer opioid-positive drug tests compared to patients treated with placebo. One obstacle to MAT, however, is that in order to be effective, the methadone/ buprenorphine combination must be given at a sufficiently high dose and the patient must remain on the medications over a prolonged period. Tapering off these medications resulted in, on average, only an 18 percent abstinence rate one to two months after tapering off. Controversy over the dangers of prolonged use of methadone and whether the risks outweigh the benefits also cloud the issue, and further study is needed to determine if this is, indeed, the best option for managing opioid abuse. Abuse Resistant Opioid Analgesics: Efforts are underway to identify new opioid pain medicines with reduced misuse, tolerance, and dependence risk, as well as alternative delivery systems and formulations for existing drugs that minimize diversion and misuse. 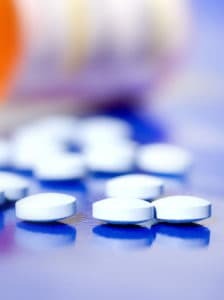 Non-Opioid Medications: Research is ongoing regarding new non-opioid drugs that show promise. Nervous Stimulation Therapies: Several non-invasive nervous stimulation therapies, including electrical deep brain stimulation, spinal cord stimulation, and peripheral nerves/tissues stimulation have shown promise for the treatment of intractable chronic pain. Neurofeedback: Neurofeedback treatment helps patients learn to regulate the activity of specific brain regions (including areas that register pain) by getting feedback from real-time brain imaging. The opioid epidemic is of great concern. But through increased public awareness and ongoing research, positive steps are being made.